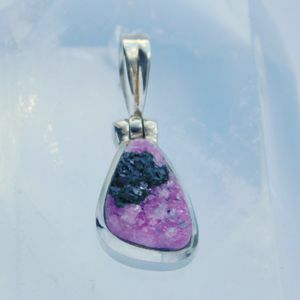 This breathtaking natural pink Cobalt Calcite is framed with Sterling Silver. 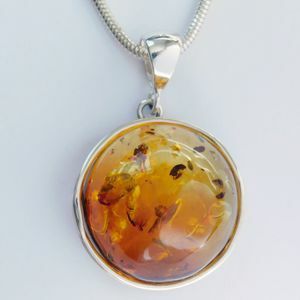 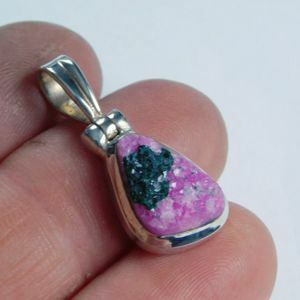 The gem Druzy measures 13 x 10 mm and the pendant itself is 28 x 11 mm in size. 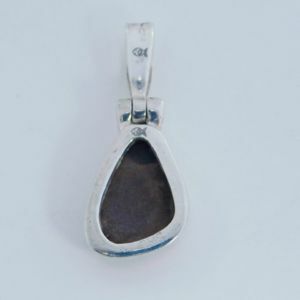 This is a variety of Calcite containing Cobalt. 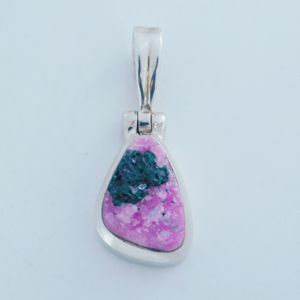 It is widely collected for its distinctive, bright, pink-magenta colours that are caused by traces of cobalt. 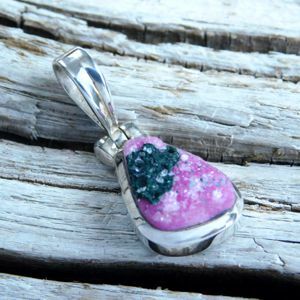 This pink beauty is the emotional healer’s stone, radiating with love and soft vibrations. 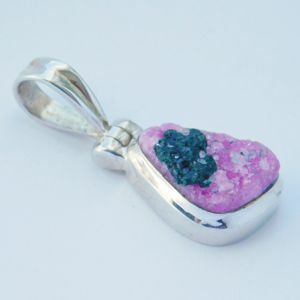 Cobalt Calcite symbolizes unconditional love and forgiveness. 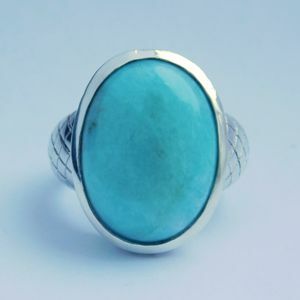 This is a stone of self discovery, it connects the heart with the mind.